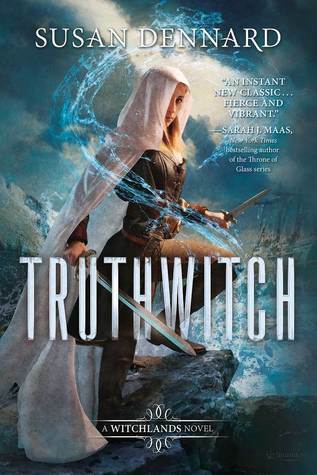 Today is the day all Witchlanders, and, a very talented author has been waiting for; today is the day that Truthwitch is released into the mighty world, ready to sit and be loved on your bookshelf. (AND MINE!!) 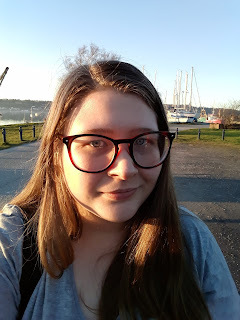 So in all good fashion and brandishing swords, the author of Truthwitch agreed to offer her time to answer a few questions. Q. What are you hoping that readers will get out by reading Truthwitch? For me I loved the friendship between Safi and Iseult. A. I'm hoping readers enjoy the read. That's really it. I write because I have a story--a feeling--to share. For Truthwitch, that feeling was epic and sweeping and intense. So I want readers to feel the same--or feel anything, really, that's pleasurable while they read. For each person, they'll get something different out of the book. They'll resonate with one character more than another; they'll love one setting over another; they'll take each sentence and make it their own. And that's exactly what I want them to do. Q. Already Truthwitch is picking up a much larger audience than your previous works of writing. How has your experience altered along with this? A. Ah, it's bittersweet to see one series take off and not another. Each book demands an incredible amount of time and patience and love. There are moments when I look at Truthwitch and think, "Why this book? Why not Something Strange & Deadly?" It's easy to blame outside factors--a better cover on Truthwitch, more promo from my publisher, a larger fanbase to start with, the right genre at the right time...But the truth is, there's no way to know. I will say that there are times I miss the quieter days of my first series. More readers means more demands for my time, such as more events to travel to or more emails to answer (endless emails!). But on the other hand, it is incredibly rewarding to know more people will read (and possibly enjoy) the book, and of course, sharing is the entire reason I write to begin with! Q. What would be your three top tips for young writers? 1: Write because you want to write. Don't write because you've been told you have to do it everyday. Don't write because you want to be published in a year. Write because you want to, and enjoy your life in the meantime. The great thing about writing is that you can do it at ANY age. 2: Live! Travel! Explore! The more you experience, the richer your writing will be. And you don't have to go far. Visit the museums near you; watch a documentary about Syrian refugees; take a walk around your block and absorb what a misty rain or gusty wind feels like. Trust me: your writing will be so much better and more satisfying the more you live your life. 3: Read. Read everything you can. Not just the genre you love most but all the others too. Read kid's books, read adult books. Read fantasy and nonfiction and cozy mysteries and philosophy. The more you read, the better your write. Period. Or subscribe to Susan's Newsletter, Misfits and Daydreamers, for exclusives.